Welcome to our website. You’re at www.theoldbarrelhouse.com.au, which is owned by Specialty Liquor Group trading as The Old Barrelhouse (ACN: 616420547 ABN: 56616420547). Through our expertise in sourcing rare and collectible liquor, The Old Barrelhouse website allows you to purchase liquor products through the website. 1.1. You may buy products and services offered online by The Old Barrelhouse by navigating the catalogue and shopping cart available on our website. 1.2. 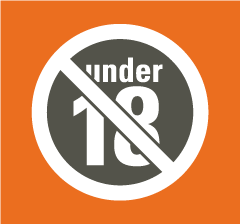 To buy products or services via our website, you must be at least 18 years of age. 1.3. By placing an order, you confirm that you are at least 18 years of age and that all information you provide is accurate, complete and not misleading. 1.4. We may cancel orders where we consider that you have not dealt with us in good faith or have otherwise breached applicable laws, even if the order has been confirmed and a credit card charged. 1.5. If your PayPal account or your credit card is charged for the purchase and we cancel the order, we will notify you and credit your PayPal account or credit card account for the amount charged, including delivery charges and applicable taxes and duties, at our discretion. 2.1. All prices are in Australian dollars. 2.2. Prices include Australian Goods & Services Tax (GST) unless your billing address is outside Australia, but exclude delivery charges and customs duty and other taxes, if applicable. 2.3. GST will be applied to all purchases delivered within Australia regardless of where the purchaser is located. 2.4. If the payment and delivery occurs outside Australia, GST will be deducted off the total purchase price. 2.5. The Old Barrelhouse is committed to providing a quality service and to operate lawful and in good faith. Under no circumstance will The Old Barrelhouse ever under value or change the description of your goods in an attempt to deceive or bypass your countries tax laws so please don’t ask. This includes requests from purchasers located outside Australia who may request us to state a lower value on the price of an item in order to pay lesser fees or taxes in the destination country. 2.6. All prices are subject to change without notice. 3.1. The Old Barrelhouse may provide special offers in relation to our products and services from time to time. 3.2. At any time, we may terminate any special offer without advance notice. 3.3. If terminated, a special offer will continue to apply to products and services you ordered in good faith in accordance with these Terms before the special offer was terminated. 4.1. The full payment for your order (including the product price and applicable delivery charges) is deducted from your credit card on completion of your order. 4.2. Items will be posted within 2 business days of receiving cleared funds. 4.3. We accept payment via PayPal and credit card and do not retain or store credit card details. 4.4. PayPal and Braintree Merchant Services has separate terms and conditions that govern third party payment processing and we are not responsible for the application of third party payment procession term and conditions. 5.1. You may cancel an order after submission provided the order has not been shipped to you. 5.2. In this circumstance there will be a full refund of cost including shipping fees and insurance (if applicable). 5.3. If the ordered item has been shipped you may cancel the item and you are responsible for the cost of shipping the item back to us. 5.4. The item must be returned in original conditions with all labels and tags. 5.5. We highly recommend you purchase insurance for the return shipment as refund will only be issued where the item is returned in original condition. 5.6. Where the item is returned in original condition with all labels and tags, a full refund less 10% restocking and processing fee will be provided. 5.8. All orders are subject to acceptance by us, at our discretion. 6.1. While we make every effort to keep our website content current and relevant, from time to time there may be errors on our website such as wrong pricing, wrong descriptions and offers for products that are not available or are no longer available. 6.2. Despite any clause in these Terms, to the extent legally permitted, we may decline or cancel any orders that are affected by the error, even if the order has been confirmed and PayPal or a credit card has been charged. 6.3. If PayPal or your credit card is charged for the purchase and we cancel the order, we will notify you and credit your PayPal or credit card account for the amount charged. 7.1. All products are offered for sale subject to available stock. 7.2. If for some reason your PayPal account or credit card has been charged for an item that is out of stock, we will cancel your order and issue a full refund to your PayPal or your credit card account in the amount charged. 7.3. We will make every effort to label out of stock items on the website and to remove such label once stock is available. 8.1. We use Australia Post for all domestic shipping. 8.2. Domestic shipping charges are a Flat Rate and are available on the on the website and at checkout. 8.3. We reserve the right to use couriers when we deem it necessary. 8.4. You have the option to choose a different delivery address than your billing address. 8.5. For domestic shipping, please allow up to 10 business days after despatch for delivery Australia wide depending on your location. 8.6. You will be required to provide a residential address for delivery. 8.7. We do not ship to the Restricted Dry Areas of Queensland, South Australia, Western Australia or the Northern Territory. 8.8. For international shipping, we use Australia Post’s ‘Express Post’ service. This option is preferred as the service provides for faster delivery times and the peace of mind of full tracking and signature on delivery and allows us to provide our best service. 8.10. The Old Barrelhouse takes no responsibility once your item/s have left Australian shores. 8.12. The Old Barrelhouse will not be held responsible or liable for any customs duties/taxes, restrictions and/or delays which may exist at a specific destination. 8.13. Please be aware of your own country’s border laws regarding this matter as customs policies vary widely from country to country. Not all countries allow alcohol to be posted or shipped. Please contact your local customs office for further information prior to placing your order. 8.14. The Old Barrelhouse only dispatches alcohol outside of Australia at the risk of the customer. This means that if a package is confiscated or destroyed, no refund will be issued. 8.15. In a case where your goods are returned to sender (us), any costs incurred by The Old Barrelhouse during this process will be deducted before any kind of refund is given. 8.16. We reserve the right to deny shipping to certain locations (refer 8.7 and 8.18). 8.17. All international deliveries are subject to confirmation by The Old Barrelhouse and we reserve the right to cancel any overseas order if it’s deemed to breach our rules. 8.18. We do not ship to the USA or Canada. 8.19. It is your obligation to enter the correct delivery address details at the time of ordering. If your goods are returned because an incorrect address was provided you will be required to pay shipping and insurance costs to the correct address prior to the release of your item/s. 8.20. You have the option to choose a different delivery address than your billing address. 8.21. Tracking numbers are included with all deliveries. 8.22. Every reasonable effort is made to dispatch orders within two business days of date when funds are cleared. 8.23. It is your responsibility to inform us promptly if an order does not arrive by emailing contact@theoldbarrelhouse.com.au. 8.24. We strongly recommend you purchase insurance as part of your purchase at our website checkout to cover for loss or damage of your item/s in transit. 8.25. If you do not purchase insurance, we are not liable for any loss or damage resulting from late delivery or non-delivery. 8.26. Our commitment to the Responsible Service of Alcohol is absolute and if you do not appear to be of legal age, ID will be requested and your item/s WILL NOT be released, until such time your age is confirmed. 8.27. A signature will be required upon delivery. 8.28. If an adult over the age of 18 isn’t available to accept and sign for the goods with valid identification, or the premises is unattended, Australia Post will leave a card and the package will be waiting for pick-up at your local post office where proof of age identification will be required upon release. 8.29. Alcohol will NEVER be left unattended at the premises under any circumstance. 8.30. We are very well known for our packing abilities. We take our time and use premium packing materials to make sure your goods survive the rigours of domestic and international travel. We respect the bottles that we source, and package each rare gem as if they were our own. 8.31. If insurance isn’t purchased in checkout, we take no responsibility for damaged items. 8.32. If you have taken out insurance and notice that the package is damaged and/or leaking before signing for it, DO NOT accept ownership of the package and let Australia Post know to return it back to sender (us) where we’ll inspect the package and determine whether to give you a replacement bottle or a full refund. 8.33. In a case where you have taken out insurance and have accepted the delivery (or another adult on your behalf does) and the goods are broken or damaged, please take photos of the damage then contact us immediately. 8.35. We will inspect the damage on a case by case basis and once we’re satisfied that the item was broken/damaged in transit to you, we will issue a full refund. 8.36. Please allow up to five business days after The Old Barrelhouse has received your package for a decision to be made. 8.37. The Old Barrelhouse has 100% authority in either choosing to give you a replacement bottle or issuing you a full refund. 8.38. In some instances where we do not have a replacement bottle in stock, a full refund will be given. 8.40. Risk of damage, loss or deterioration to goods passes to you on delivery in accordance with these Terms. 9.1. Goods ordered by you remain our property until you pay for them in full. 9.2. Title (including risk of loss and damage) in goods purchased pass to you upon delivery to you. 10.1. To the extent legally permitted, we exclude all conditions, warranties, guarantees and similar, whether express or implied, as to the condition, suitability, quality, fitness or safety of any goods or services supplied by us (Warranties), other than those implied by statute which may not be legally excluded. 10.2. Any liability we may have to you under Warranties implied by statute which cannot be excluded is limited, where expressly permitted by statute, to supplying, or paying the cost of supplying, the goods or services again, at our option. 11.1. Items must be in original condition as received with all labels/tickets attached. 11.3. You will be advised at the time of notification of damaged or defective good of the address for return of goods. 11.4. Return of items will not be accepted unless the above steps in 11.1 and 11.2 are complied with. 11.5. Please check your items against your receipt. If there are any discrepancies please email contact@theoldbarrelhouse.com.au as soon as possible and within 24 hours of receiving your items. 11.8. Please note that for change of mind or wrongly selected items, you must pay the postage cost to have the item/s returned to our warehouse and a 10% re-stocking fee will apply on the full price of the goods including the original shipping fee. 11.9. You may return your items if we have sent you the incorrect items. Please allow up to 10 business days for your refund to be processed. 12.1. Our products come with guarantees that cannot be excluded under the Australian Consumer Law. You are entitled to a replacement or refund for a major failure and compensation for any other reasonably foreseeable loss or damage. You are also entitled to have the products repaired or replaced if the products fail to be of acceptable quality and the failure does not amount to a major failure. You may also be entitled to remedies that cannot be excluded under the Australian Consumer Law if any services supplied by us to you fail to meet a consumer guarantee under the Australian Consumer Law. 12.2. To the extent legally permitted, under no circumstances are we to be held liable to any party for any direct, indirect, incidental, special, exemplary or consequential damages of any type whatsoever related to or arising from the supply of products or services via this website or the use of such goods or services by any person, including, without limitation, any lost profits or savings, damage to or loss of property or personal injury (including death), even if we are expressly advised of the possibility of such damages. 12.3. This exclusion and waiver of liability applies to all legal causes of action, including but not limited to contract, warranty, or negligence. d. where we refund you the amount of your order as provided in your agreement with us (less any amount you have agreed we may deduct, as described in these terms and conditions, you agree such refund is the total amount of our liability to you for all circumstances relating to the refund. e. Our liability to you for loss or damage of any kind arising out of our agreement with you or in connection with the relationship established by it is reduced to the extent (if any) that you cause or contribute to the loss or damage. This reduction applies whether our liability is in contract, tort (including negligence), under any statute or otherwise. 13.1. You acknowledge and agree that we are excused from supplying our products, services and other obligations and will not be responsible for any delays where, and so long, as we are prevented from performing our obligations under these Terms by events or causes beyond our reasonable control. 13.2. We will endeavour to notify you of any delay and its expected duration. If we are prevented from performing our obligations for longer than a reasonable time, we may elect to cancel your order and issue you a credit in the amount paid for the order without further liability to you. 15.1. We may alter these Terms from time to time by posting the altered version on our website. 15.2. You should visit the website regularly to keep up to date with any alterations. 15.3. In the case of an alteration, the altered Terms only apply to products ordered via the website after the alteration takes effect. 16.1. You agree to deal with us in good faith and in compliance with all applicable laws. 16.2. These Terms are governed by the law of New South Wales, Australia. 17.1. We may notify you by email, a general notice on this website or by other reliable method to an address or using contact information previously provided by you.